On Monday, GearBrain reported that the Mexican Soccer Federation (FMF) and the LIGA MX have reached a major agreement with the Israeli based tech company, Pixellot to bring their world-leading production automation technology to all 18 clubs in the Liga MX to boost performance using the latest video coaching methods. The company's Mexican partner seeUplay® will be hands-on to bring the tech to the league and install Pixellot's systems at Liga MX stadia, the league's training facilities, and the Mexico national team’s training complex after the Fifa World Cup has concluded in Russia. Liga MX will join a number of clubs in Europe and China that have the innovative tech system in place to excellent results. Pixellot's technology streamlines production workflow through an unmanned multi-camera system in a single fixed ring. The system produces a feed of the entire game being played on the field, features panoramic footage of the whole pitch while also allowing frame by frame review and individual player tracking. For coaches, this gives them an incredible amount of information in real-time to guide to make better decisions. Also, it gives players more information in their training and gameplay to improve their performances. Pixellot's tech is not only going to be revolutionary to improve in the quality of play and coaching on the field, but it even creates unique interactive content for the fans to get involved as well. Could Pixellot's Technology Expand Into Other Sports? The technology has rapidly expanded throughout Asia and now into Mexico. It's a little early to speculate if the tech could find its way into Major League Baseball or the NFL, but it's already being used to cover high school sports. 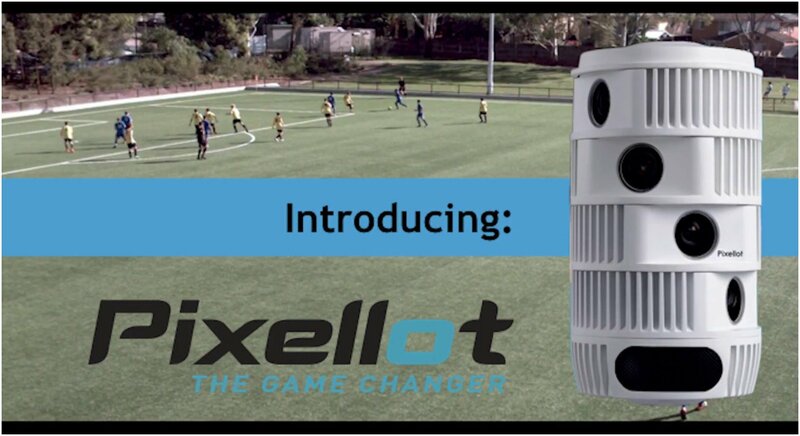 Pixellot's innovative system has received nothing but praise across the globe, so it's not out of the question to believe it may improve coaching and player performance in other major sports soon, especially those that rely on camera angles and instant replays like baseball or football. For the time being, Pixellot is innovating soccer in Mexico but there is no reason to believe the company won't continue to grow and expand into new sports. It could just take some time before it comes to the US.